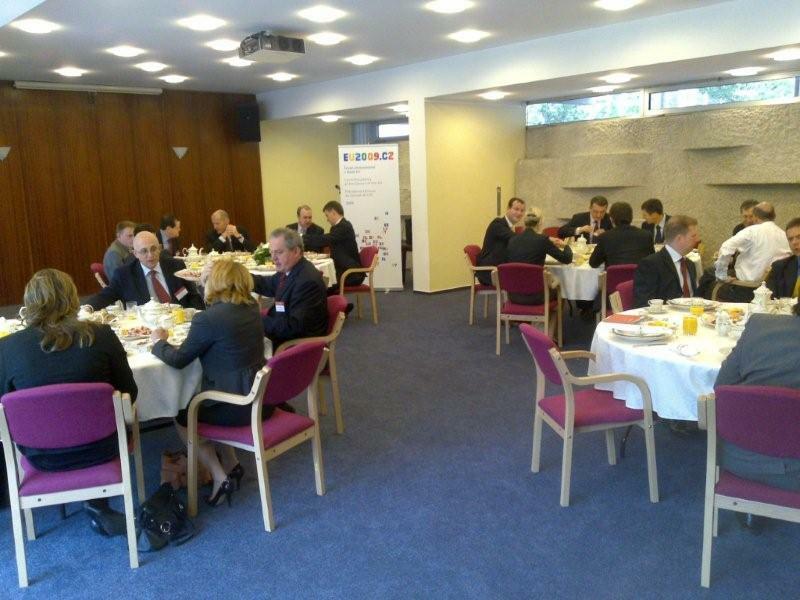 The Czech British Chamber of Commerce in cooperation with the Embassy of the Czech Republic cordially invited CBCC members to a business breakfast with Mr. Zdenek Tuma, the Governor of the Czech National Bank. 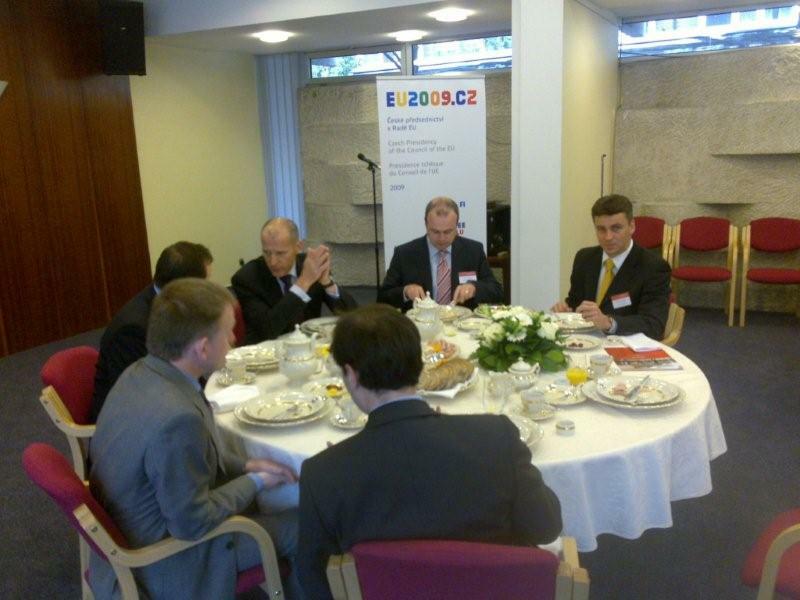 On Friday 15th May 2009, the Chargé d´affaires a.i. 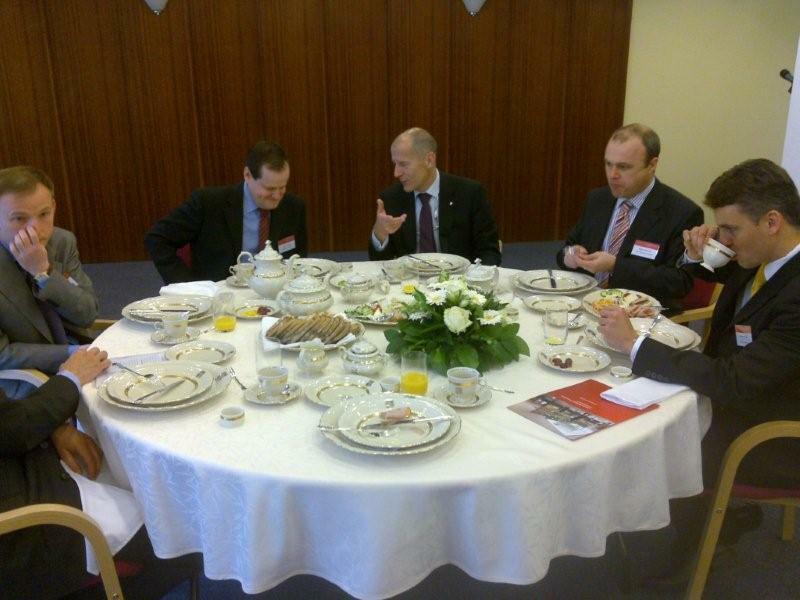 Miroslav Kolatek and the members of the Czech British Chamber of Commerce attended a business breakfast with the Governor of the Czech National Bank at the Embassy of the Czech Republic in London. At the beginning of the insightful and enjoyable event, Mr. Tuma presented the latest monetary policies of the Czech National Bank in relation to the European Union and the current financial crisis. During the informal discussion, the Governor answered questions from those present.